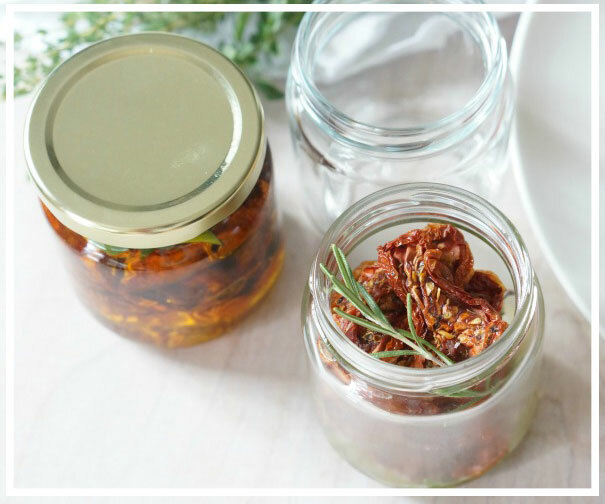 Preserve summer’s bounty with this easy recipe for homemade sundried tomatoes using Glass Canning Jars! 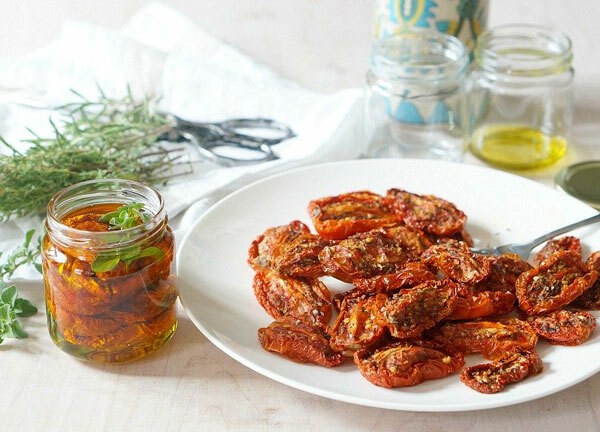 Packed and stored with fresh herbs and olive oil, these homemade sundried tomatoes are the perfect compliment to pizza, salads, pasta and more. For more great recipes check out the Forks & Folly blog! Slice each tomato in half from top to bottom. In a large bowl, gently mix them with olive oil, salt, sugar and the herbs. To cook in a dehydrator - layer the tomatoes on the racks of dehydrator cut side up, making sure to leave plenty of room around and above each tomato for air to circulate. Allow to cook overnight, about 12 hours, or until dry and wrinkled. To cook in the oven - preheat the oven to 200 degrees Fahrenheit. Place the tomatoes, cut side up and place on a baking sheet. Bake for about 7-8 hours. Allow to cool completely before storing. 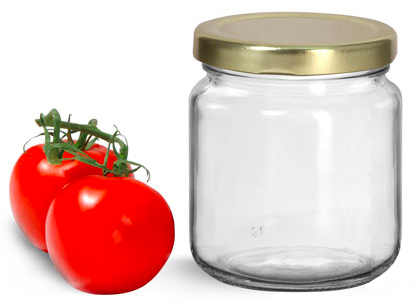 Place a few cut herbs into the bottom of the wide mouth canning jars. The suggestions, recommendations, ideas, recipes, information and advice on this page are to be employed and used at your own risk. SKS has not made any independent research or studies into the reliability, suitability, fitness, completeness, safety, accuracy or legality of this information and SKS makes no warranties about the fitness, safety, advisability, accuracy, suitability or legality of the contents. SKS will not be liable for any losses and damages arising from the use of the contents hereof.